The United States Navy has released the name of the Blue Angel pilot killed this past Saturday in a crash at Marine Corps Air Station, Beaufort, in South Carolina. He is identified as Lt. Cmdr. Kevin Davis of Pittsfield, Massachusetts. 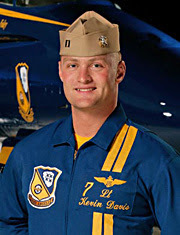 Visitors to EAA Airventure in 2006 will remember Davis as “Kojak”, his Navy call sign. 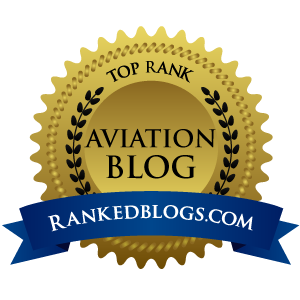 Anytime we lose even one aviator, it is one too many. Sometimes it is just some hamburger chaser out buzzing the ranch and piling his Baron 58 into a barn, or maybe it is a 200-hour stick with more confidence then brains who flies right into IMC weather and gets his Skyhawk torched by lightning. Either way, I always have to question why some guys and gals go down. 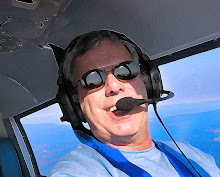 Sometimes it is broken airplane syndrome, but in too many GA accidents, “pilot error” is unfortunately the cause. But when the best of the very best goes down, I'm sure I'm not alone by stating the obvious...that it seems almost inconceivable that any sort of pilot error is to blame for this accident. Blue Angel pilots redefine what flying tight formation is all about, and they do it 18-inches apart at 500 miles an hour, climbing through a 360-degree circle while performing a barrel roll, all with one hand tied behind their backs. They do this stunt flying week after week, looking the aviation Gods square in the eye before cranking and banking into yet another maneuver that blows everyone on the ground away. When I watch formation teams like the Angels, the Thunderbirds and Canada's Snowbirds, I marvel at how easy they make it look. But as the speeds climb and the tricks get crazier, the margin of error shrinks to zero tolerance. At 500 KIAS or more with wingmen at either side, I always seriously wonder how they manage to keep from trading paint. But they do it without errors – they have to – because if they make even one tiny error, they'd have the Beaufort incident at each show. The last crash of a Blue Angels teammate was 1999, and they've flown dozens of shows in those eight years. What does that record tell you about their skill level? So World of Flying sends our condolences out to the Davis family, who reportedly was on hand and witnessed the crash. While I'm sure they might have heard this frequently in the past few days, I'll go on record as saying that if you'd have asked Lt. Cmdr. Davis last week how he'd prefer to leave this world, it would be at the controls of a Blue Angels F/A-18 Hornet, flying tight formation at an airshow, dazzling the kids.